Warm metals have hit peak popularity in furniture and lighting—and now the kitchen and bath industry. Arne Jacobsen designed his fixtures for Vola in 1968. In 2014, the Danish company added a deep copper finish to the line. 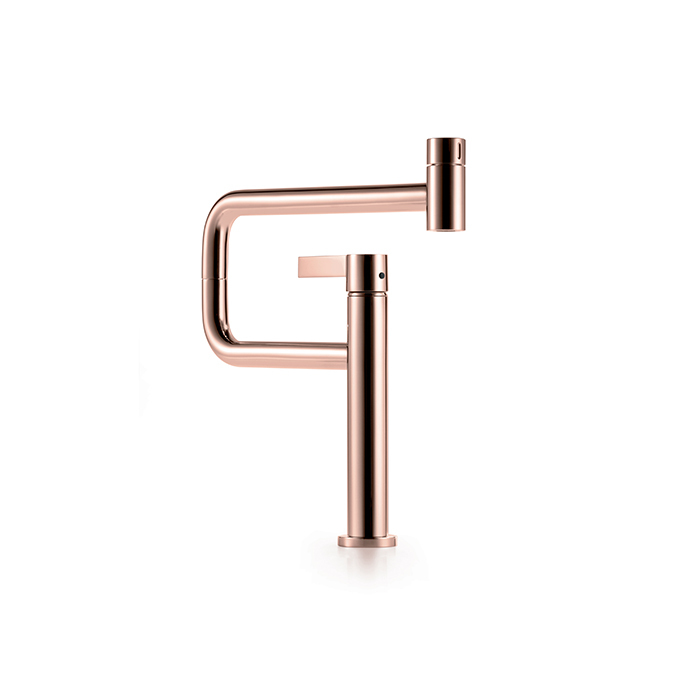 Made in Italy from commercial-grade metals, the sink marries the look of copper with the durability of stainless steel. Changing cabinet knobs and drawer pulls is an inexpensive (and noncommittal) way to tap into the warm metallics trend. A handsome line of accessibility products, Programma CU includes grab bars, a shower seat, door handles, and cabinet pulls.